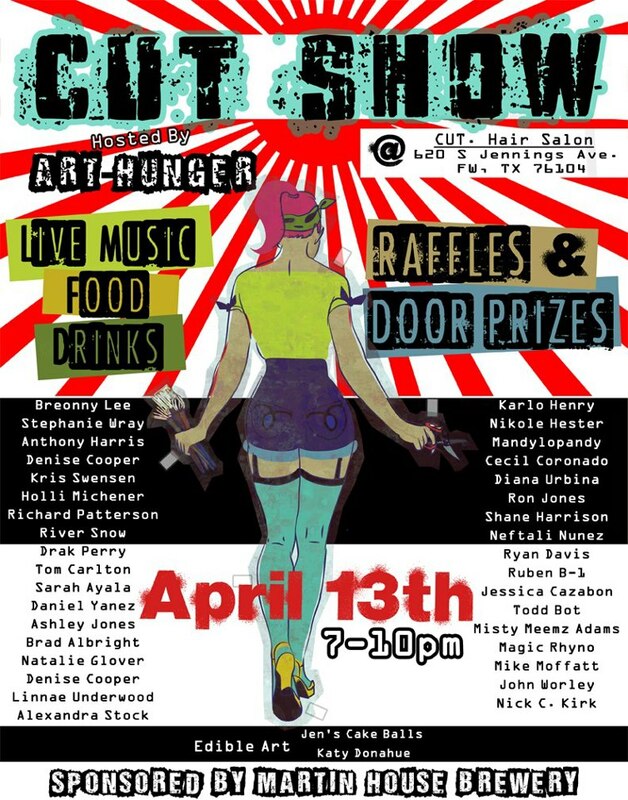 Saturday April 13th from 7pm-10pm @ Cut Salon. Over 30 local FWD artists showing and selling their craft. Artwork will remain on display for the next 30 days after the opening. Enjoy hanging with friends and family while indulging in art, music, food and drinks. Some of the artists will even be working live, so be sure to check out their skills! We will also have huge artist panels available for those young and old itching to paint something during the event. We will of course have our raffles/door prizes through out the night - must be present to win! Music provided by DJ Train and DJ Whole F'N Show with some special guests. Our good friends at Martin House Brewery will be sponsoring the event with some of their new brews! This is a family friendly event, bring the entire family out!